Automakers are scrambling to figure out who is responsible for autonomous car accidents. Two cars crash into a bar. One is human-driven and that person is promptly arrested. The second is fully autonomous and the person inside says they weren’t driving. What happens? Preventing accidents is one of the major draws of autonomous cars, so much so that Elon Musk recently said that questioning the safety of autonomous cars is “killing people.” But it’s unlikely that car accidents will go away, especially in the early days when autonomous and regular cars will share the road. The ideal situation is that we can trust autonomous cars to have some sort of black box that will record all the pesky information about speed and location during an accident and that will be the end of accident disputes. But car companies are still working out what is going to happen when autonomous cars are on the road, from what data the cars record to whether the company is responsible for accidents. Strategies vary from waiting for national legislation to just declaring to take responsibility, but no one has figured out exactly how this is going to work. And as autonomous cars start driving into everyday life, there is a lot on the line for customers and companies alike. 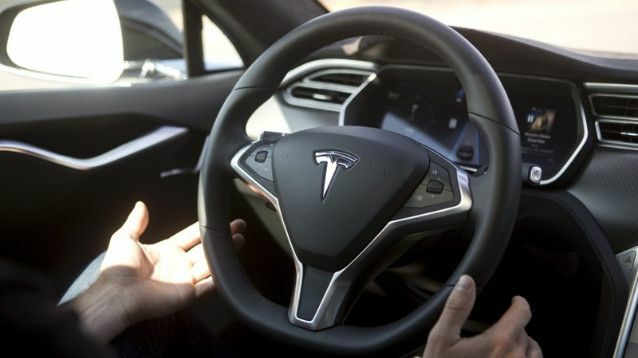 The Tesla autopilot system is one of the most famous self-driving systems today. “The big issue for auto-insurers is finding out who the liable party is when you do not have a driver,” Michael Barry, Vice President of the Insurance Information Institute, an insurance education organization funded by insurance companies, tells Inverse. He expects that companies that make self-driving cars will ultimately be responsible for crashes. “It’s an issue that auto-insurers are looking at and it’s going to be a product liability claim on the part of auto self-driving manufacturers,” he says. Car companies are dealing with this move in the industry in different ways: General Motors is waiting for a national policy before making statements about how it will handle responsibility for autonomous accidents, Kevin Kelly, a General Motors rep tells Inverse. The company declined to comment on how it would determine whether its autonomous systems, like those set to launch in late 2017, were responsible for accidents in the future. Volvo intends to have 100 self-driving cars in London by 2018. Volvo isn’t waiting for legislation to decide how to handle possible accidents with autonomous cars. The company is still a few years away from releasing a level four autonomous car, which is the first Volvo that would be covered by that claim, Nichols says. Part of releasing a fully autonomous car will be figuring out the technical details in determining accident liability he says. Although Toyota hasn’t exactly addressed how it will determine if Toyota autonomous systems are responsible for accidents, Brian Lyons, a Toyota rep tells Inverse, the company already uses something like a black box in its cars. “They were never really intended to be used for determining who was responsible for an accident,” Lyons says. But with that in mind, Lyons says the emergency data recorders that have been in new Toyotas for the last ten years could be similar to something that would report in autonomous cars. The device gathers information about conditions and can be accessed by the car owner to provide information to the police or insurance in serious accidents. Unfortunately, it might take a few more autonomous car accidents for the question to be resolved. Volvo is to be correctly predicting the trend, he says. Barry points out that the company has a track record for being on the front edge of safety regulations, like creating and opening the patent for three-point seatbelt design back in the 1960s. Hopefully, other automakers will take notice.